This week I spent $100 on groceries and a few other needs. 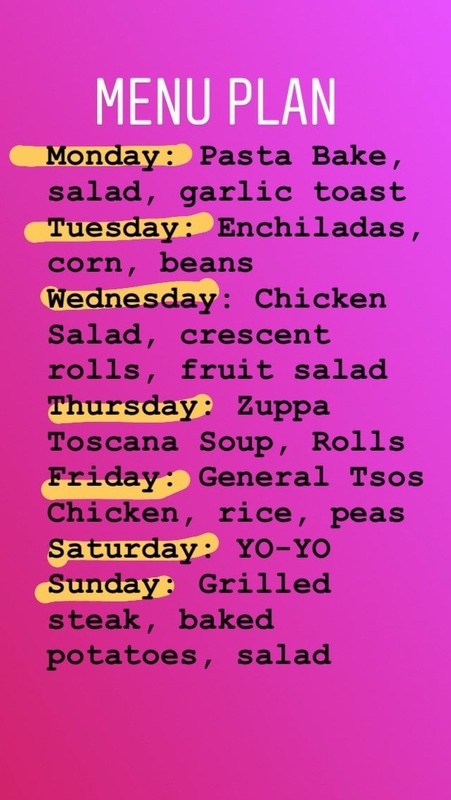 I have included my weekly dinner meal plan for the week as well! I bought shampoo and dog food (not pictured). My produce this week was cuties, two oranges, potatoes, spinach, carrots, apples, and lettuce. In the dairy department this week I bought whipping cream, greek yogurt, blueberry yogurt, string cheese, cheddar cheese, cream cheese, butter and italian sausage. This week I bought two loaves of wheat bread, blueberry bagels and a can of yeast. 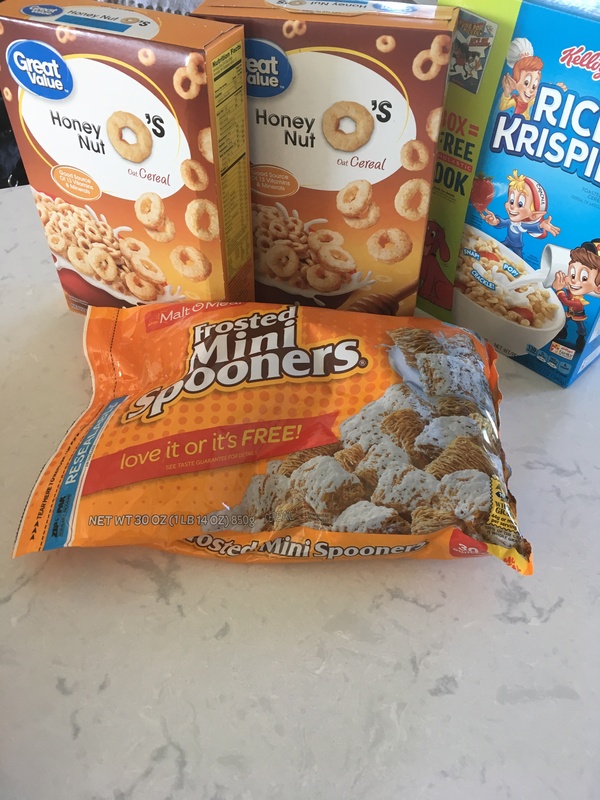 I bought two boxes of cheerios, a box of rice krispies, and a bag of malt-o-meal frosted mini spooners. A few odds and ends were marshmallows, candy melts, pumpkin puree (yay for pumpkin! ), and 4 packets of taco seasoning. All of this came to $102.10 after taxes.